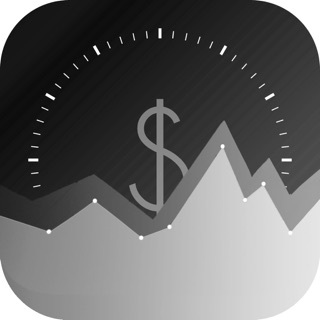 Looking for an invoicing app with incredible features to help you organize your business billings? Invoice Bee will help you to keep track of all the expenses in a very easy and simple way. 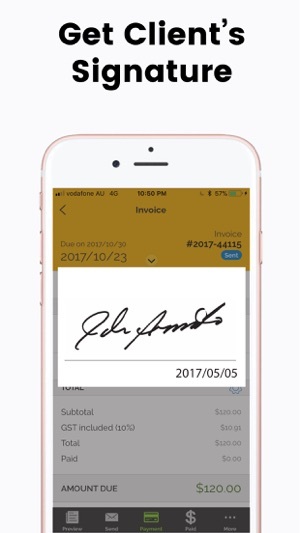 Clients can sign either directly on the device screen or via email. The signed documents are saved in cloud system for retrieval. View invoice / estimate / payment summary by month, by customer or by item. 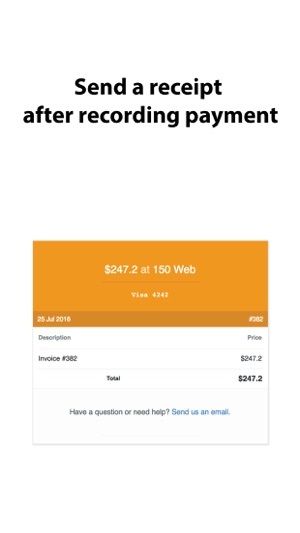 It is easy to send receipts to clients after recording payment. You can choose to impose credit card surcharge to your clients. We promptly reply within 12 hours of any enquiries. You can create up to 40 invoices and unlimited customers for Free on both your mobile phone and Mac/PC desktop app. You can upgrade to Basic version for US$5.99 per month. 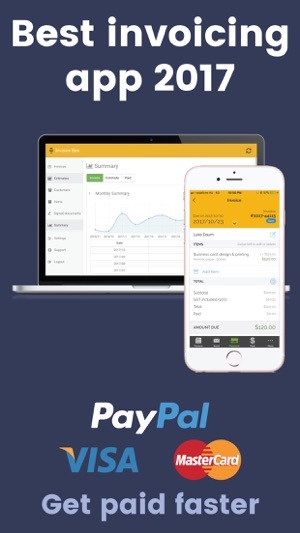 You can only purchase Pro version subscription at Invoice Bee website. It includes Mobile and Mac/PC desktop app. Please visit our website for more information. It is FREE up to 40 invoices per year. 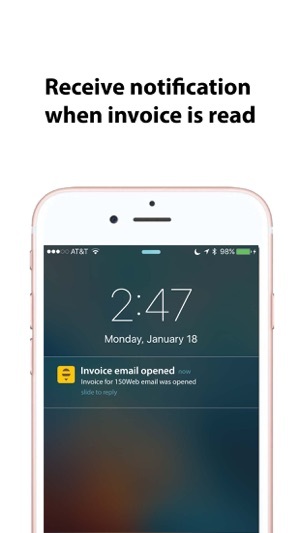 Download Invoice Bee and get started for FREE Now! This app is super easy to use. Only takes a few minutes of set up time to add company info and logo. You can save customers and items for future use of necessary. I started with the free plan and that worked just fine for months, until I picked up more customers and needed to upgrade to send more invoices. Well worth the subscription cost for me to be able to make, send and keep track of invoices on any device at any time. Thank you! 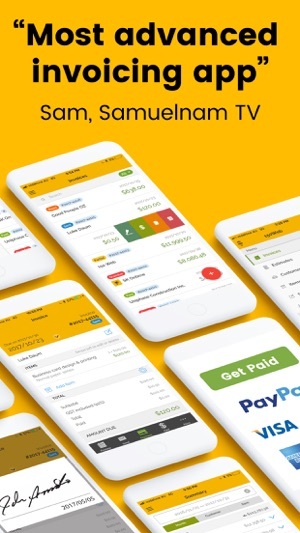 Sometimes invoices can be hard to build and send to clients, but invoice bee is truly excellent app for those small and possible large business needs. I’ve been using this for about 3months now, I made a one year subscription. I recently tried logging and it’s not recognizing my email anymore, keeps saying it doesn’t exist!!! After using for 3 months. I’ve contacted them by email. With no resolve to my problem. Its a really good app when it works.